Enroll today and we’ll waive $1,990 in initial set-up fees – for each brand! We believe in holding onto accountability. We don’t lock dealers into any contracts! Each enrolled dealership receives a $200 Visa Gift Card! Staff beers? A month’s worth of coffee? Pizza Fridays? The options are endless! With the ever-increasing cost of online advertising, we buck the trend and prefer to focus on being efficient. Take advantage of this offer with a conservative $1,500 monthly budget per brand! 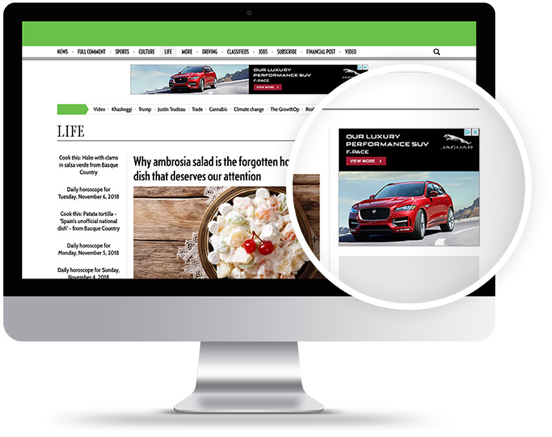 Convertus is a certified digital advertising provider for Canadian Jaguar Land Rover retailers. We help progressive JLR dealers design and execute a digital strategy within their market to sell more vehicles. Working with JLR clients from coast to coast, we’ve built proven strategies that drive dealership traffic and vehicle sales. Are you ready to elevate your online advertising strategy?